Say goodbye to barbers business cards. Get your information and updates straight about your favorite barber directly on your phone. No more losing your barber contact information and forgetting their availability times. More, you can also choose available barbers where every one of them has a profile you can freely access, with their phone numbers, contact information and directions to their shops location. The navigation should serve all types of users equally while maintaining the simplicity and use of space in the app. Which was a bit of a struggle for us. At first, we couldn't find an easy way to maintain the same navigation for both types of users, yet we have managed to design a more intuitive, structured navigation after a few rounds of revisions. 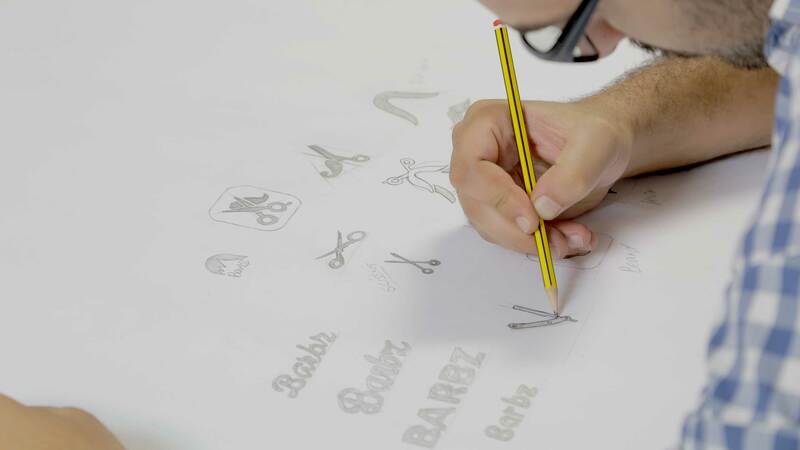 Since, Barbz was for both men and woman we thought of mixing that up to get a brand that speaks for both, our designers took that idea to a whole new level. With a revolutionary archetype Barbz is bold and confident. It can have multiple meanings, in this case both genders. That's why we wanted to create a surprising, provocative, and innovative look. Barbz app has two types of users (the clients and the hairdressers), with many features for both. 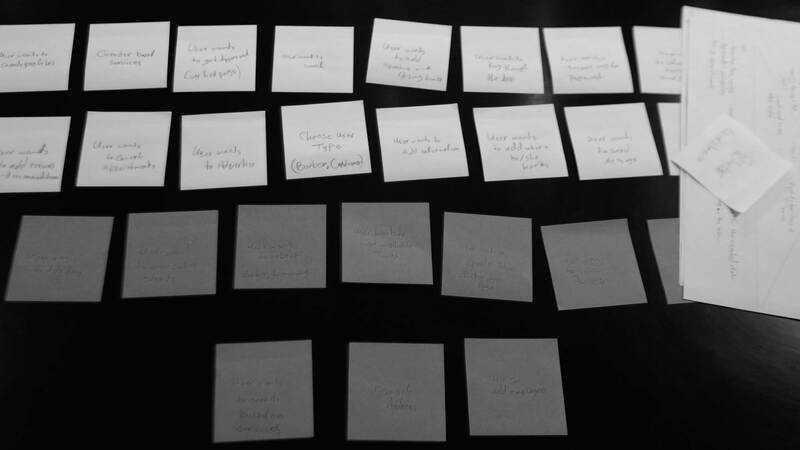 We sat around and got things right for every user type, their privileges and their sections. We also discussed the features we want in the next phases. Moreover, we wanted to study the cases to develop a better experience for the users. 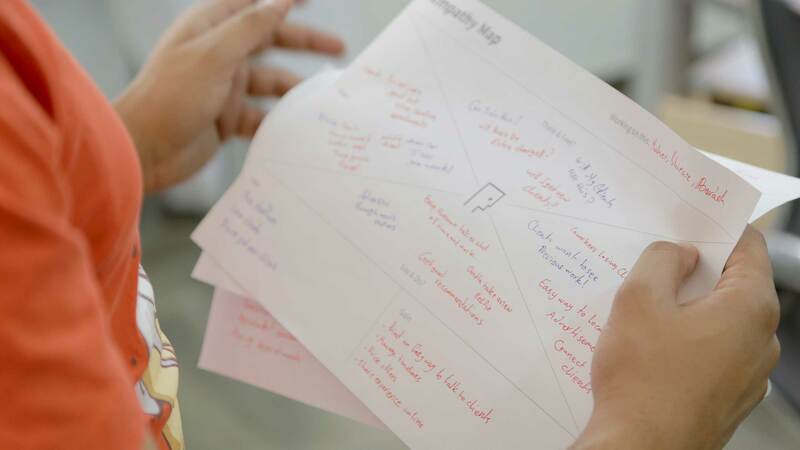 With different types of users we had to divide the targeted audience into segments, gather information about each segment to develop better personas. We studied their demographics and psychographics to understand their needs and wants. To focus on accomplishing their goals and addressing their frustrations in their natural work place. 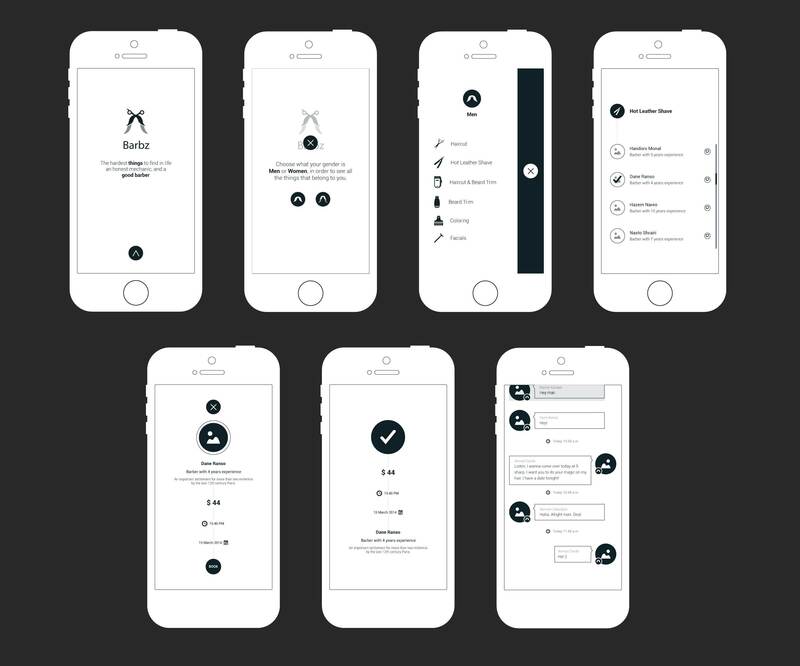 We wanted to create the additional opportunity to intuitively guide the users of Barbez app, with a combination of sticky nav items, jump navigation, and a layered information architecture to create many different ways to explore varying levels of detail within each product line. 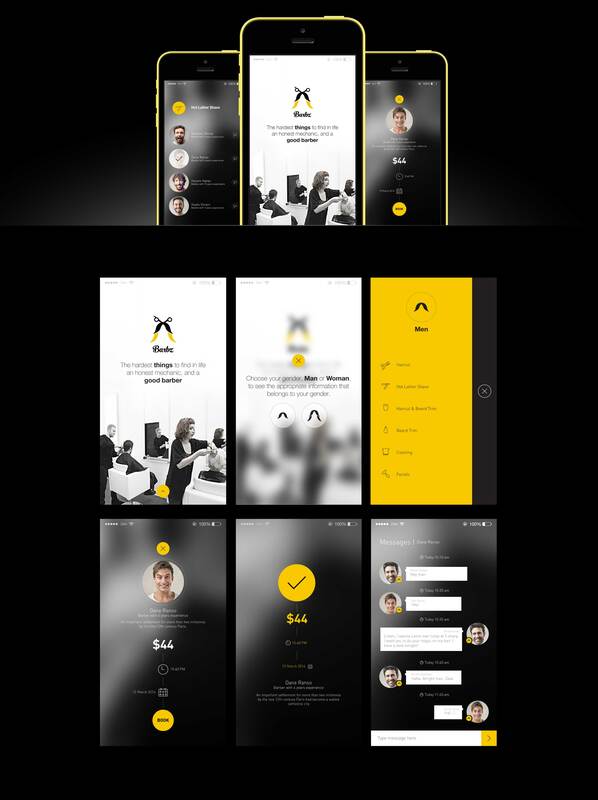 Barbz App came to end with detailed and inspirational user interface that showcases the content and puts real emphasis on people and work. It was simple, easy and structured. It gave the same feel and experience to both types of users.